The premise sounded interesting, although it wasn’t something I especially wanted to read. I have been curious about the subject though because I know a lot of teens who date and the rational behind it never made complete sense to me. Then I found out that the author of this book co-wrote it with his daughter, and that impressed and intrigued me. And, after watching a short interview with them, I was like “Hey! I want to read this!” and so I did. Just to be clear before we start: I’m not a fan of teenage dating, or dating just for fun, *but* if y’all are in that setting, then I highly recommend this book. The book is obviously serious and has some heavy topics, but it was also written in a way that is easy to read and understand. There are tons of facts, scientific discoveries, and averages and percentages talked about in the book. We get to learn about how our brains develop and why people react to certain situations the way they do. The book makes modern teen dating trends make a lot more sense. There were a couple of chapters that I only skimmed because I don’t feel the need to know all the information right now, but for parents I can see how it would be incredibly enlightening and helpful. I didn’t agree with everything the authors said, but that’s to be expected. Overall though, the good info far, far out weighed what I disagreed with. And, I very much appreciated how the book was a father/daughter team effort. As I said before, if you have a daughter of dating-age (or even if you are a dating teen), then this book should probably be on your to-read list. 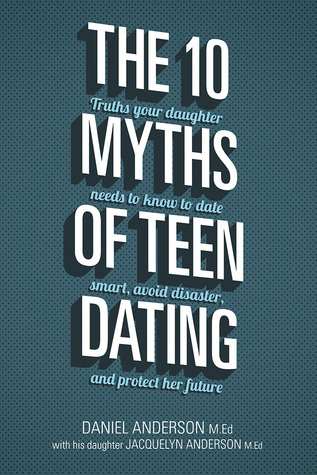 I’m giving The 10 Myths of Teen Dating 4 stars out of 5, and 8 stars out of 10.